You can never know in advance all the news that will move the market in a given week, but some things you can see coming. From earnings reports to a new "Hobbit" film, let's take a look at the business news that will break in the week ahead. Monday -- Let it Snow, Let it Snow, Let it Snow: Ski resorts are open for the season, and we'll get a great early read on how the business is holding up when Vail Resorts (MTN) reports fresh financials after Monday's market close. True to its name, Vail Resorts operates a ski property in Vail as well as nearby slopes in Beaver Creek, Breckenridge and Keystone in Colorado. It also owns resorts in six different snowy states. Don't expect a quarterly profit out of Vail Resorts. The months of August, September, and October are naturally forgettable for ski resorts. Vail expects to generate four times as much revenue during the next three months as it did during the period that ended in October. However, Vail Resorts should be able to offer a glimpse about how the new ski season is starting to shape up. It has enough advance booking information to know what folks are willing to pay this year for a trek out to the slopes. Tuesday -- For Whom the Bell Tolls: It's once again great time to be a real estate developer. Home prices are moving higher, and those increases are moving at a headier clip than the costs to build new digs. We'll get a good snapshot of the housing industry when Toll Brothers (TOL) reports on Tuesday. The builder of upscale properties is typically blunt about its assessment, and naturally the news has been good in recent quarters as home buyers aren't walking away from their contracts, and asking prices keep inching up. Hovnanian (HOV) -- another developer that offers more accessibly priced properties -- reports two days later. Analysts see revenue surging 56 percent at Toll and 19 percent at Hovnanian. It's good to be a builder right now, but that won't remain that way if mortgage rates keep moving higher or if home prices start to pull back. Wednesday -- Suits Me Just Fine: Men's Wearhouse(MW) didn't like being on the receiving end of an unsolicited buyout offer from Jos. A. Bank (JOSB) a few weeks ago, so it turned around and made its own buyout offer to acquire the smaller retailer of fine suits. 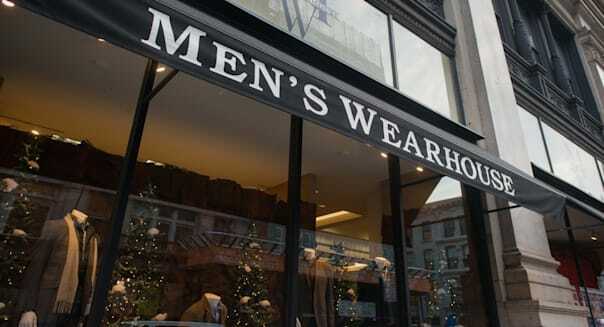 %VIRTUAL-article-sponsoredlinks%Men's Wearhouse should be used to the drama. It had investors shaking their heads when it let go of the chain's founder last year. Yes, the guy who used to guarantee that you would like the way you look after shopping at Men's Wearhouse. As for the high-end retailer, it reports quarterly results on Wednesday. It's always enlightening to hear a company offer up new performance metrics, but the market will also be tuning in to see if Men's Wearhouse has anything to say about the potential purchase of its smaller rival. Thursday -- Photoshop This Report: Adobe Systems(ADBE) is the leader in desktop publishing software, but there's only so much money to be made selling photo-altering Photoshop and PDF-authoring Acrobat sthese days. When Adobe reports on Thursday analysts see an 11 percent decline in revenue with profitability nearly shaved in half. Online publishing is as important as ever, but there are too many free or nearly free cloud-based offerings for casual users. Adobe is still popular with pros, but growing at this point may prove challenging. Oh, if only Adobe could Photoshop its way into merrier days. Friday -- Lord of the Box Office Rings: Time Warner(TWX) hits the silver screen with the latest installment in J.R.R. Tolkien's epic fantasy saga. "The Hobbit: The Desolation of Smaug" follows Thorin Oakenshield, his crew of stalwart Dwarves, and of course, the titular Bilbo Baggins, as they try to reclaim Lonely Mountain from the dragon. A night at the movies is still alive and well. Backed by a strong slate of November releases, exhibitors topped $1 billion in ticket sales last month. December should be even stronger, and the latest Hobbit movie should be one of this month's biggest winners. Motley Fool contributor Rick Munarriz has no position in any stocks mentioned. The Motley Fool recommends Adobe Systems and Vail Resorts. Try any of our newsletter services free for 30 days.